The 5th Veda session at Whistling Woods International (WWI) held their annual cultural extravaganza - All India Mushairas, 2018, celebrating Indian poetry amidst the students, faculty, and patrons of the art. 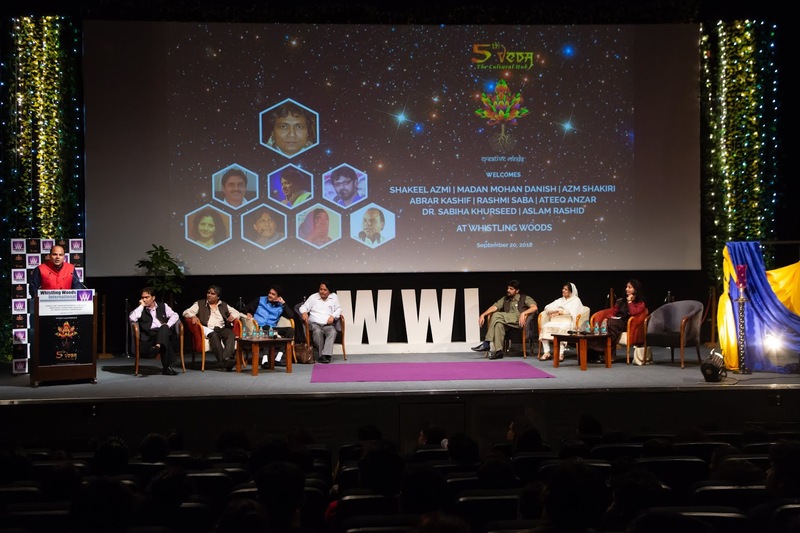 The event witnessed seven of today’s illustrious bards from diverse cities – Madan Mohan Danish (Gwalior), Azm Shakri (Delhi), Abrar Kashif (Amravati), Rashmi Saba (Bhopal), Aslam Rashid (Gunna), Dr. Sabiha Khursheed (Bhiwandi), Ateeq Anzar (Doha, Qatar) and the esteemed poet Shakeel Azmi from Mumbai, who moderated the session. These poets, with their enchanting rendition of shers (couplets), made it an evening to remember. The event was a meaningful dedication and appreciation to the art form of Indian poetry that called out to all - aficionados and patrons. 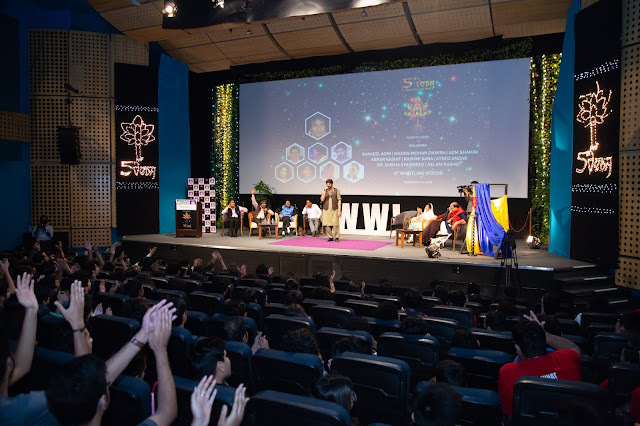 The event highlighted the deep connection of romance with poetry in Indian culture as the session engulfed the students to enamour the verse and celebrate the talent and thought process behind it. While Kashif’s enigmatic performance engulfed the auditorium with thunderous applause, Shakeel spoke of how Nazam Shayari is a way to showcase one’s emotions and poured out his thought and feelings through his performance. Shakeel reminisced about his learnings from his predecessors, quoting an eloquent line from Jan Nisar Akhtar - "To write a simple thing is the most difficult." He concluded the evening’s performances with his own beautifully arranged Shayari. Subhash Ghai concluded the session with a poignant sentiment that Shayaris are enriching and a pure form of art that influences and encourages people, who both listen and recite them. For the students, the evening was enlightening and entertaining. Their energy led to genuine affection for the performers with roaring applause and standing ovations for each. The evening culminated with the traditional token of appreciation from Subhash Ghai to the group, followed by a vote of thanks to all who attended the illuminating event.